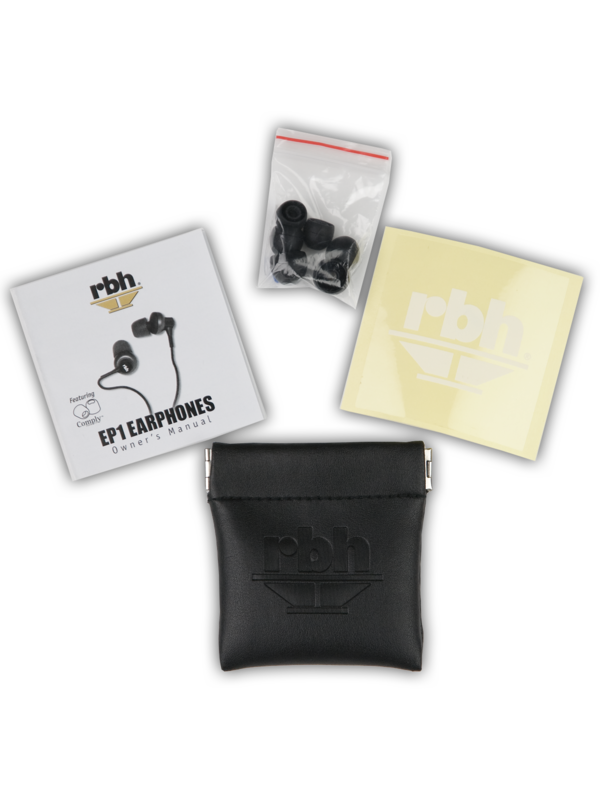 Includes 1 pair of EP1 earphones, 1 set of Comply™ isolation tips (black T-400 medium - attached to earphones), 1 set of Comply™ isolation tips (black T-400 large), 1 set of silicone ear cushions in small, medium and large, cord clip, carry pouch, and owner’s manual. RBH brand speakers have been winning awards and, more importantly, winning the hearts of audio enthusiasts for many years. Our EP1 Noise Isolating Earphones deliver the high fidelity our company is known for to your iPhone©, iPod©, MP3 player, smart phone or other personal audio player. Regular earbuds, like the ones that come with your player, just can't match the EP1’s performance or noise isolation capabilities. 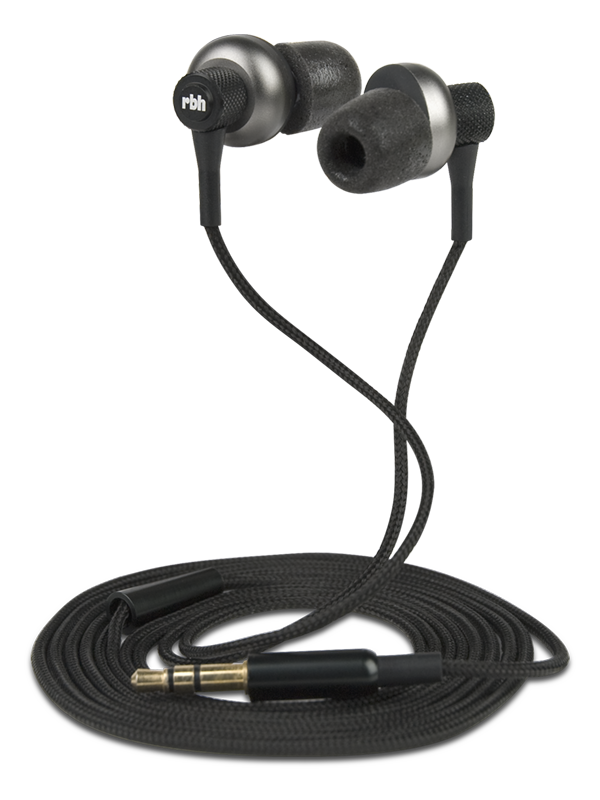 The EP1 earphones deliver a wide sound stage free from outside noise and interruptions. Aluminum housings, premium materials, strict tolerances, gold connector jack and a cloth woven cord for comfort and less tangle are some of the features of the EP1. 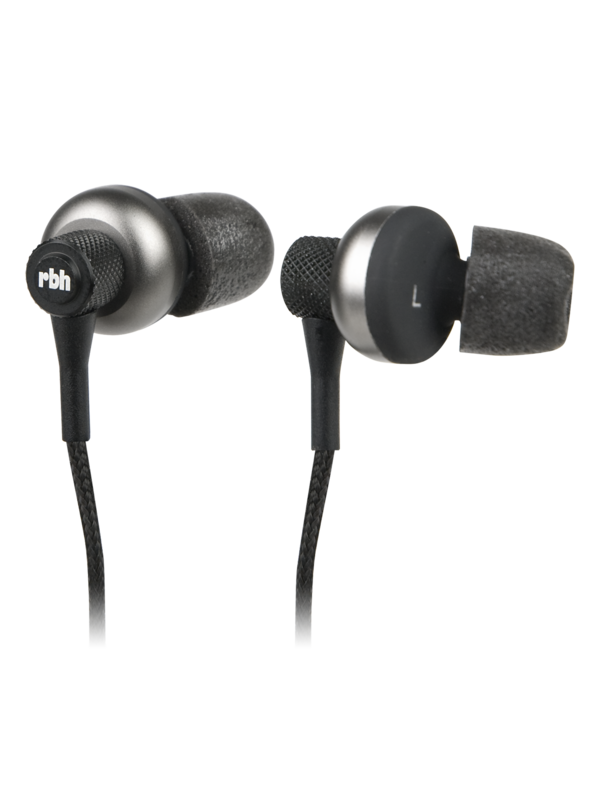 The RBH reputation for quality is evident in the construction, attention to detail and clear sound. These durable and stylish earphones come with a protective carrying pouch, a cord clip, Comply™ Foam Tips, and large, medium and small silicone ear cushions for a comfortable and personalized fit. Looking for earphones with a built-in microphone and smartphone function control features? 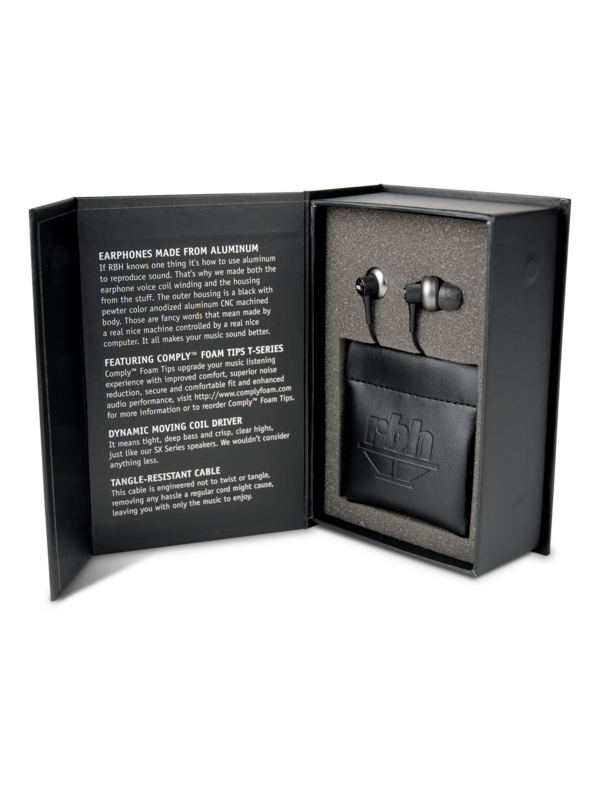 Check out our EP2 Noise Isolating Earphones or our EP-SB Bluetooth Earphones. Check out some of our other earphones and headphones: EP2, EP3, EP-SB, EP-ZERO, H2. 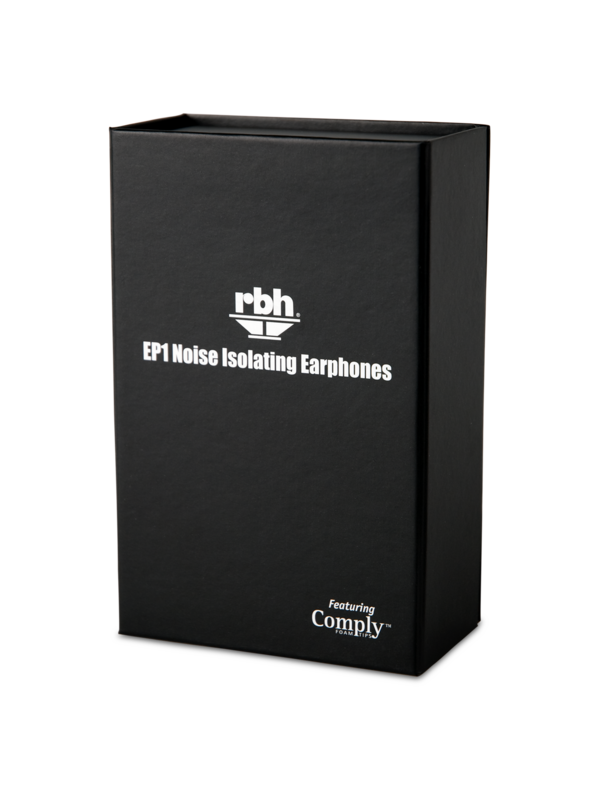 For the money, you will not find better sounding, better crafted earphones than the EP line from RBH. In fact, you will not find earphones of this quality for twice the money and then some. The high level of customer care alone is testimony to what you can expect from this company. RBH has it covered across the board. I now have a new go-to gift that will not fail to please and to impress." — Phil B.